Usually at this time of the year I have plenty to show off in my kitchen. But, August 2016 is totally different. I did not receive any birthday gifts this year that are for my kitchen. I usually get a cheque from Dave’s mum for my present and when it arrives I shall put it towards a new food processor. My box arrived and I was quite surprised to find 2 smoked chilli sauces in it. The bottle of red wine is sure to go down well. 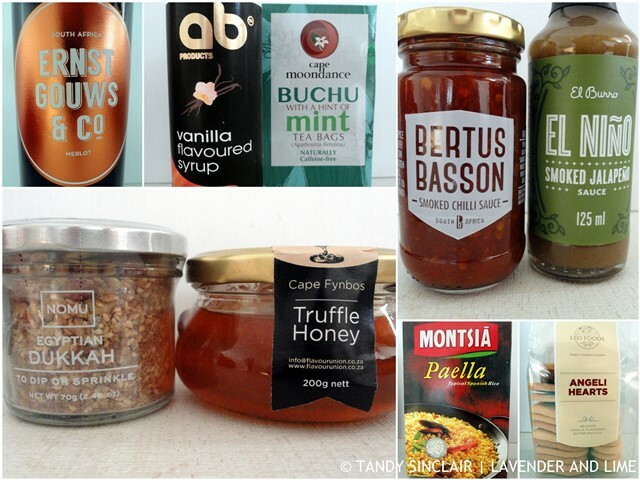 And I know I will make the most of the truffle honey. Dave and I were talking about making a paella a day before my box arrived so the rice was quite timeous. I popped in to a friend to drop something off with her and ended up staying for a cup of coffee. Next to her very impressive coffee maker were these notelets. I asked her where she got them and she gave them to me! 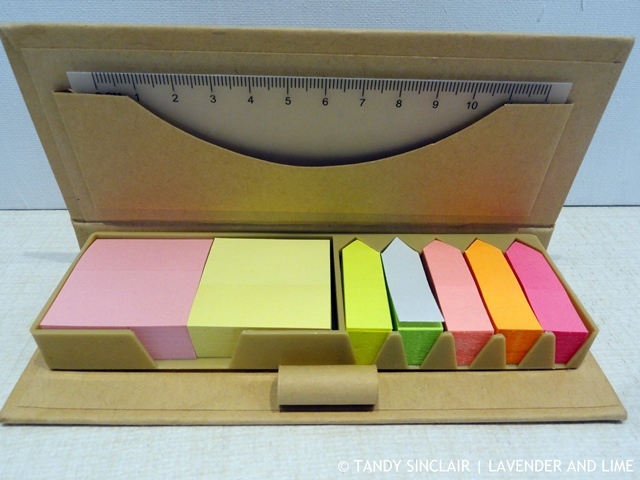 I just love using them when reviewing recipe books and for making notes on recipes I am testing. Baleia Wines have bottled their maiden Syrah Rosé 2016. 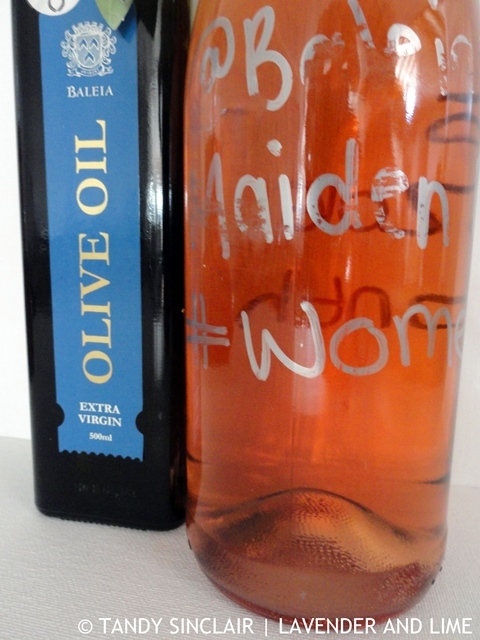 I was sent a bottle, together with some olive oil to celebrate Women’s Month. The formal launch will be this month. 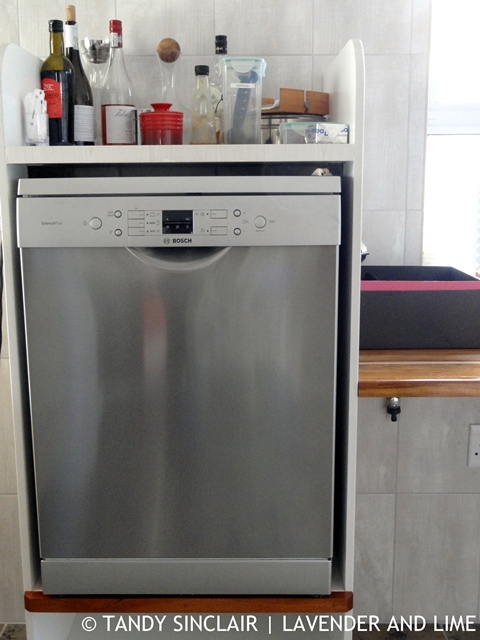 Dave and I carried the dishwasher from the cottage to the house and it has been installed. 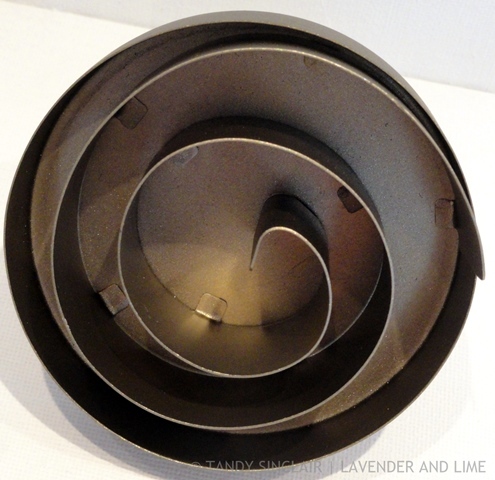 I could not resist buying this spiral bread stamp. Sadly, I have not made sourdough bread in ages as I killed my starter. I have a tiny pinch of dried Cordelia and will make a new starter in summer. 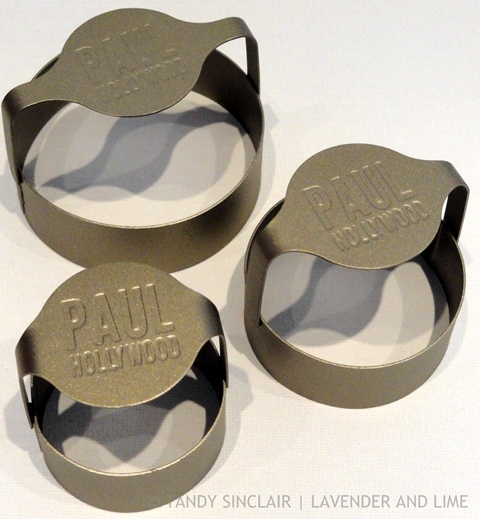 This bread stamp has a comfort grip handle and is tried, tested and loved by Paul Hollywood. And as I ‘love’ Paul Hollywood I went and bought myself the plain edged pastry cutters as well. I have been using a glass for my scones over the years so this will make a huge change for me. This is my contribution to this months’ In My Kitchen series hosted by Maureen. Dave and I are overseas in Europe. We will be back at work on the 18th of September. I will start replying to comments then. I won’t be able to read any blogs while we are away so please forgive my lack of visiting back. You can follow our trip by taking a look at our holiday blog. Wow Tandy – you have taught me a new word. ‘Timeous’. Thanks for adding that to my arsenal. Glad you’ve been able to move the dishwasher from the cottage. It’s all coming together. I can’t wait to use them. What fabulous food and kitchen devices you have this month, love it!! What a lovely blog post! Real good things you got there! I love that your dishwasher is raised. Would love to do that with mine. It is the best thing!